It's no secret that my career as The SHIFT-IT Coach and a teacher in "Interactive-Graphics" could be described as innovative or niche. My use of visuals in facilitation and coaching was/is unusual … let alone my fascination with Law of Attraction and other meta-physical principles. In the early days, it was a lonely journey … being a pioneer out on the leading edge and holing away on my island (some would call it the 'laughing' edge … got my fair share of judgment, cynicism and pettiness). However a fascinating thing has happened along the way --- by being brave and stubbornly authentic I have created a career that is not only stimulating and fulfilling but now it is immensely social and rewarding as well. I'm blessed to attract fascinating people from around the globe to guide and support as they SHIFT their ITs too --- bringing passion, enthusiasm and skill into the world, in their own unique ways. In the last few weeks I have been blown away by the rapid expansion that is now occurring … a critical mass --- of the visual way of working, the acceptance of the importance of inner work & energetics and to the blooming of students, mentees and workshop attendees as they unfold in their own unique ways. How do people live authentic expressions of what they truly value? Somewhere along the line they exhibited the bravery to dream and ponder what they would truly like, sought training and education from a mentor who had successfully traveled the path, dealt with internal resistance … and took consistent, aligned actions to make it happen with their own touch and flair. In that vein, today's article is about the expansion I am witnessing in my students, clients and colleagues … and includes a handy visual map to help you begin to align your energy towards what YOU want. It will clarify your thoughts and harness your energy – and in the process open you to your next logical manifestation steps (just like my clients, mentees and myself have and are continuing to do). Life is here for the creating --- I wish you well in making yours an enjoyable, creative and prosperous one. We're here when you are ready for support and community --- you can make your SHIFT to an authentic livelihood too! Statistically over 87% of your facilitation, coaching, training and consulting clients are visual thinkers – learn powerful visual skills to boost the effectiveness (and fun!) 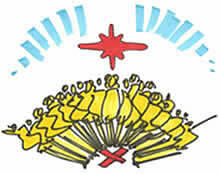 of your process work with groups and individuals. Training thoroughly covers custom chart work, graphic recording, graphic facilitation and graphic coaching (the four main applications of working visually with groups and individuals) so you can add these powerful tools to your own consulting, facilitation, coaching and training offerings. Plus 2 In-person Retreats (Nov. 19-20 Redondo Beach with THEO and May 6-7 Victoria, BC) ... wonderful global cohort – apply ASAP to join us! 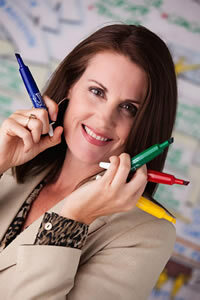 This new 9-month mastermind is for solo practices and small businesses at or desiring the 50-300K range. Take a quantum leap in your biz and life development, not to mention your bottom line! Biz building instruction coupled with deep inner alignment and spirituality (the unique one-two combo that has resulted in my own success). Accelerate your Biz and Life to Become Your Next Self! Calling all coaches, therapists and other helping professionals! Easily and expertly learn how to work visually with your own coaching and therapy clients using my proven, highly effective SHIFT-IT Graphic Coaching Process® and suite of 17 visual maps. This ready made system gives you professional and polished materials and marketing support to rapidly enhance your new or existing professional practice – plus membership in a growing global community of practitioners committed to individual and societal change. Next cohort forming now – apply today! Details and Online Application 2nd Cohort Forming Now! * FYI: combo package increasing soon! In the last few weeks I have been blown away by the rapid expansion that is occurring around me --- of the visual way of working, the acceptance of the importance of inner work & energetics and to the blooming of my students, mentees and workshop attendees as they unfold in their own unique ways. (Please Note: If you don't see yourself, please don't be offended – I've only included those who have already publicly acknowledged our connection in some way … didn't want to 'out' anyone without their permission --- if you are ok with being highlighted in future issues, please let us know via reply email). How do people develop and live authentic expressions like these? They bravely dream and ponder what they would truly like, they follow their interests and heart, they smartly invest in training and education from mentors who have successfully traveled the path, they resolve problematic internal resistance and mixed beliefs … AND they take consistent, aligned actions --- with their own unique touch and flair. Whether you are a seasoned SHIFTer or new to the journey, here is a helpful exercise you can do regularly to aid in the manifestation of your desired outcomes. Called the “Wouldn’t It Be Nice If” process – from one of my favorite sources of Law of Attraction and Deliberate Creation information (Jerry and Esther Hicks and The Teachings of Abraham --- see their book "Ask and It Is Given"). I've taken the liberty of creating a visual tool to help you do it. Take a moment to identify the focus of what you want to apply your map to … perhaps you'd like to apply it to the topic of 'right livelihood' given the examples of my clients and students that I’ve been sharing with you (FYI: you can focus this map on any area of your work and life – whatever you want to bring more positive energy and focus to). 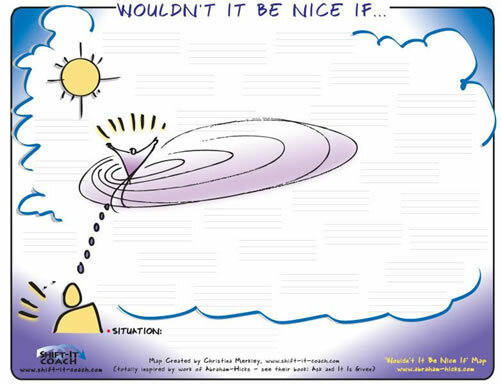 Now that you have the topic you wish to focus your map on … gentle ask yourself this simple question: “Wouldn’t It Be Nice If …” and let answers pop into your mind. Record your answers on the map. Write whatever comes into your mind – do not censor! The first step in manifesting what you want is to begin to articulate and FEEL what you truly desire. This process subtly helps you poke into the energy of what you desire – even if you still have resistance in the way (disbelief, doubt, guilt, embarrassment, uncertainty, etc). You are not making a locked-in-stone commitment --- you are merely playing the 'wouldn't it be nice if' game. If this is the first time you have poked into what you truly want and/or if you have a lot of resistance on the subject, be aware that it might feel a bit awkward to begin with. Keep going. Don't give up. Notice how as you stick with it (like after the 5th or 6th answer) your energy begins to 'warm up' a little. That is normal. Pay attention to the 'hot spots' … those answers that 'light you up' (even if just a little bit) when you contemplate them. That my friends is ENERGY (what successful Law of Attraction is about) … all of the above people who have successfully manifested a significant stage in their livelihood felt that hot spot within them when they first contemplated their desired SHIFT too. Big SHIFTs can begin with little sparks. FYI, your right livelihood (or whatever you are in the process of manifesting) will be an unfolding, evolving journey--- its not like you will 'get it' and all will be perfect and set. Even with the accomplishment of big SHIFTs in your life … your desires will continue to morph and change … that's evolution alive and kickin' in you. 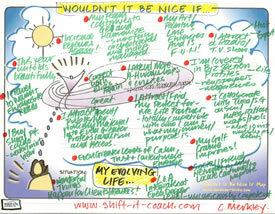 I've been doing 'Wouldn't It Be Nice If' maps for years now … and my answers continue to morph and shift as my next chapters gather clarity and momentum within me. Here's one I've just done to give you an example. Please Note: do not let my answers influence you unless you truly resonate with them … what you want for yourself may be radically different … this is just where I am at this time in my life and I offer it by way of example of how to do the map … not what or how to think/feel! Your own guidance will direct you as to what the right answers are for you! In manifesting, it's natural to seek out mentors and training – to learn new skills, models and mindsets. However, there comes a time when you need to integrate what you have learned into your own authentic expression rather than shallowly copy or mimic. Be respectful of your mentors and their content that they have shared with you (give credit where credit is due, site sources, etc) – and go through the journey of honorably integrating their guidance and example into your own unique expression. Nobody can be another person--- so rejoice in your own individuality and figure out how to genuinely express it. The Law of Attraction richly rewards those who honestly actualize themselves! P.S. Are you resonating with the visual and energetic way too? Check out these like-minded (and hearted) trainings … where members of our visual and energetic tribe gather for professional skill & mindset development plus supportive community: Fundamentals of Interactive-Graphics, SHIFT-IT Certification and The Biz and Life Accelerator. Make your SHIFT now! 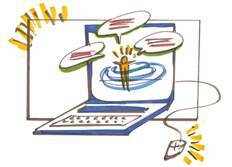 JOIN THE GLOBAL COMMUNITY OF GRAPHIC COACHES!